As you probably have guessed if you follow me on Instagram, my weekends now tend to be filled with baby related stuff; from looking at nursery decor items to wish listing cute outfits I'd like to have for the baba! Can you imagine how excited I was to receive an email from Mamas & Papas offering to send me some clothes for the baba? I think I squeaked a little bit to be honest. Mamas & Papas kindly sent me five items from the Fifi Lapin range to add to our growing wardrobe for the babe- who, might I add, is a girl. I'm not sure I've even made that announcement on my blog actually... how did that one slip my mind? 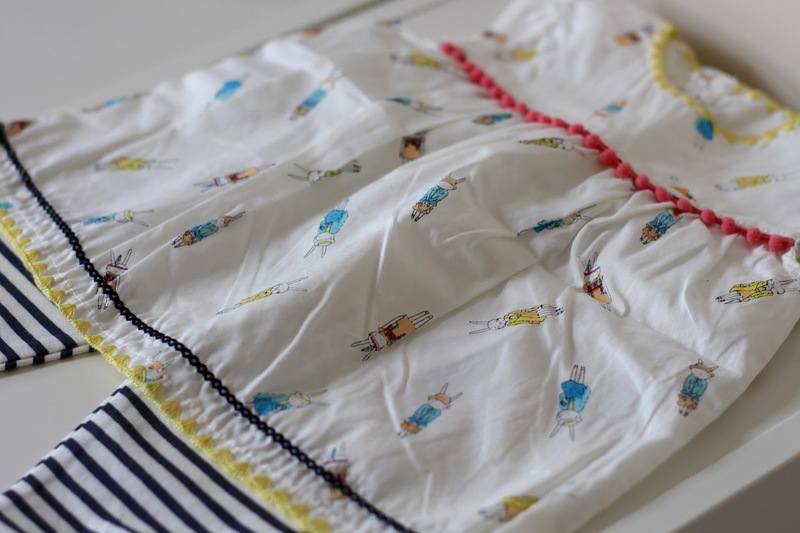 One of the items they gifted to us is way too cute to sit in a draw for the next two years so I have decided to do a giveaway at the end of this blog post.. stick with me!! 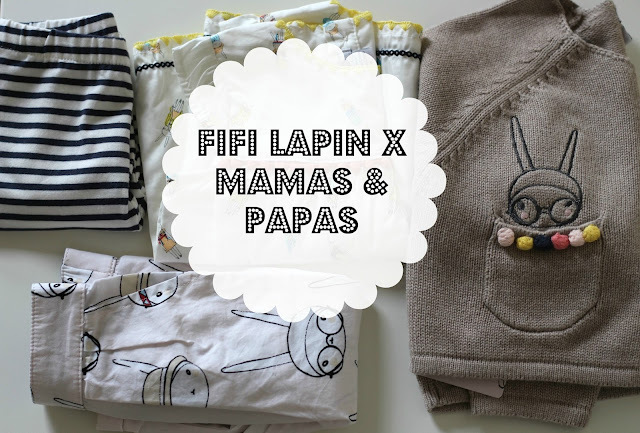 Fifi Lapin is a cute bunny who shot to fame in 2009; selling t-shirts at ASOS, UO and then launching a range of xmas cards in Topshop. 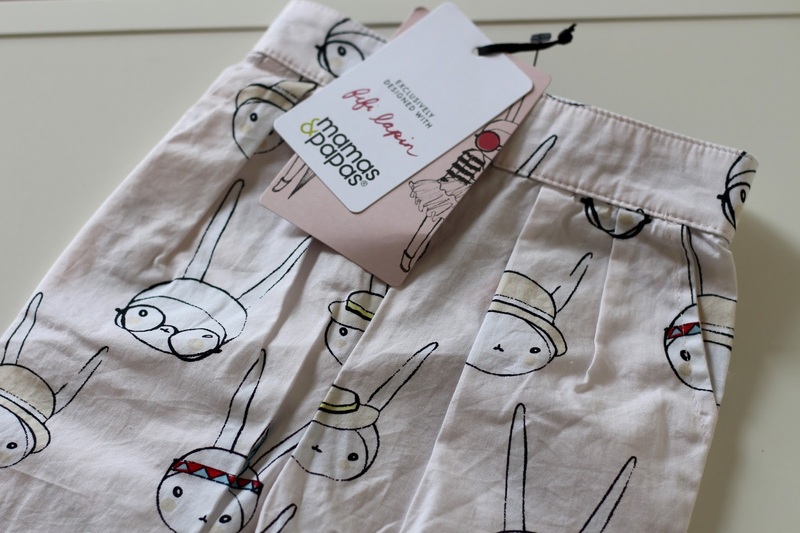 Being the international it-bunny that she now is she's been given the opportunity to release the cutest clothing range in collaboration with Mamas & Papas. First up is this totally adorable two piece legging and dress combo. 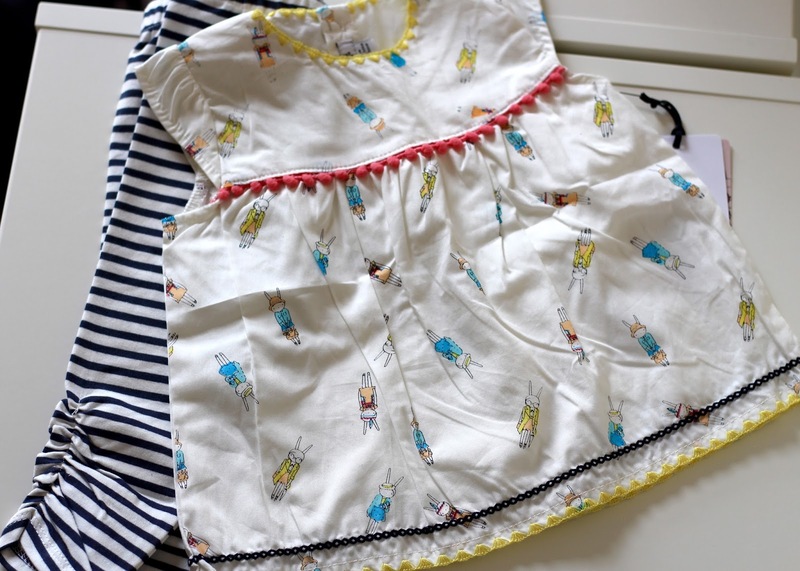 The 100% cotton dress is going to be ideal for early spring/summer next year; the dress has a little underskirt attached but still remains light and airy. 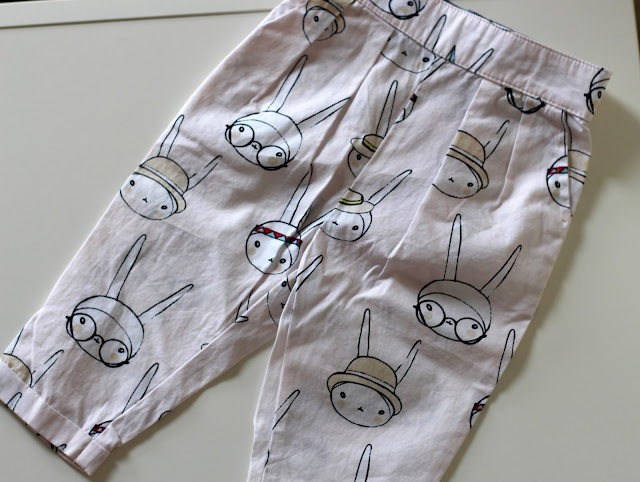 The leggings to go with super cute with gathered detailing on the legs- I imagine this outfit is going to be teamed up with some little sandals and a hat. 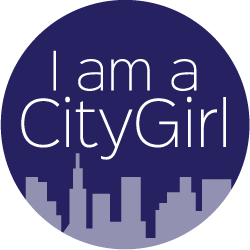 Or, if she fits into it whilst the weather is still a bit cooler then I could pop a long sleeved dark blue top on underneath the dress. I love the detailed piping on the different sections of the dress; the pink, black and yellow really compliment the Fifi bunnies on the main fabric of the dress. Next up are these amazing chino type trousers; aren't they just gorgeous?! I'm not a huge fan of too much pink so this really light pink tint works well for me..
Again, these are 100% cotton and feel really light; great for the spring/summer. I imagine her wearing these with a plain white t-shirt tucked in and maybe a bow/headband on. Ohhhhhh she is going to be such a fashionista! These chino style trousers are £14- pretty reasonable I think. Love the print of the fabric too.. 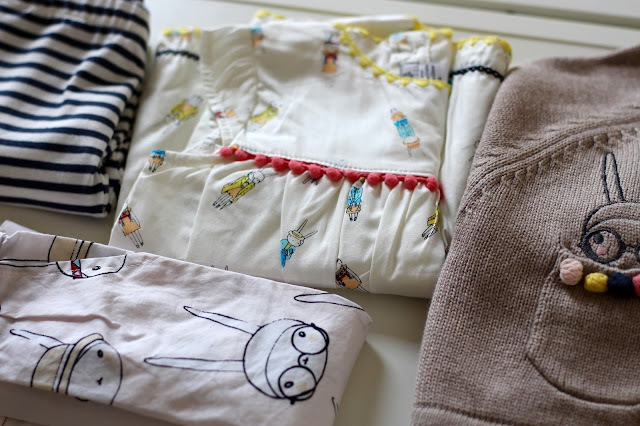 I'm already thinking what we could refashion them into once she's grown out of them.. maybe I should do a patchwork blanket with all of the gorgeous clothing pieces to remind me of how adorable her wardrobe was as a new baba?! 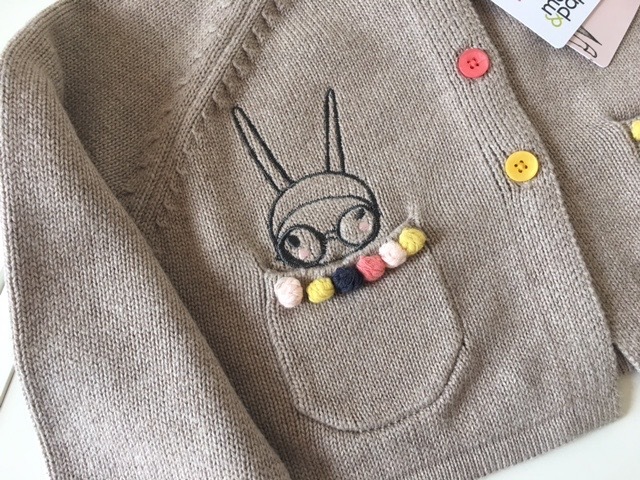 Next up is a cardigan with a Fifi bunny popping out the pom pom lined pocket- anything with pom poms on wins my love immediately. 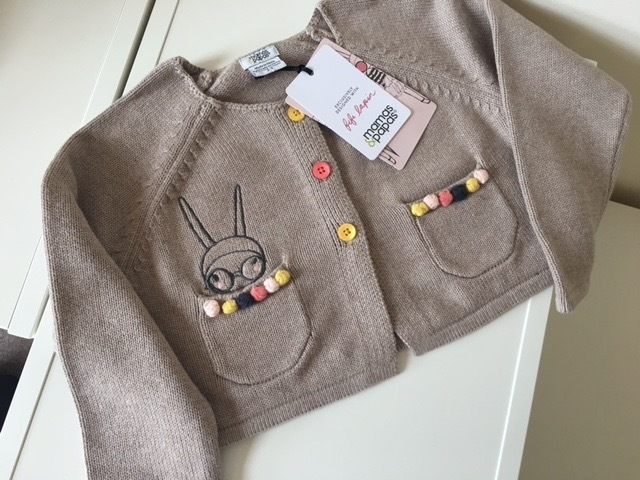 The buttons on this piece give it a pop of colour and ohh its so soft and snuggly feeling! This cardigan is £19. 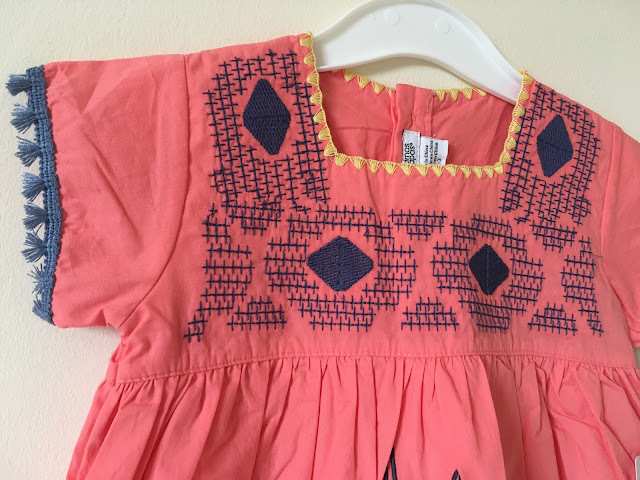 This piece is in age 2-3 so we are going to have to hang on a while until the babe can wear this but at least we have a few nice bits stored away eh? I really love all of the pieces that I've been sent by Mamas & Papas- it makes me so excited to think about dressing her up in such stylish outfits.. she's going to be dressed so much better than me at this rate! Which piece is your fave? This cute summer dress is ideal for your 2-3 year old babe over the next few months in the warmer weather we will hopefully be having.
! I love the detailing around the neck and the tassels on the arms and hem line. The dress is worth £24; i'll be sad to part with it but would love to see a picture of the winning babe in it! 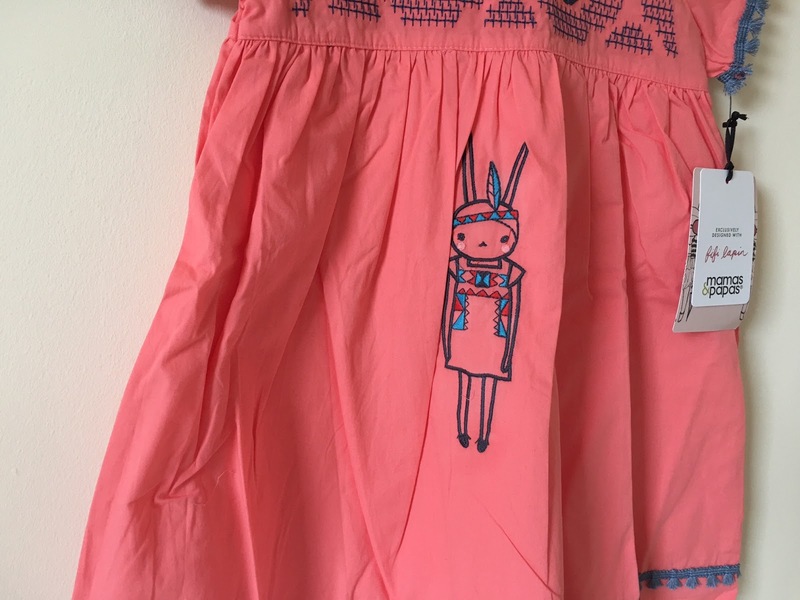 Of course, the focus piece of the dress is the little Fifi Lapin bunny, she's just so chic. 5. You must complete one or all of the requirements on the rafflecopter form. This will be checked when drawing winner. 6. Only open to UK entries. 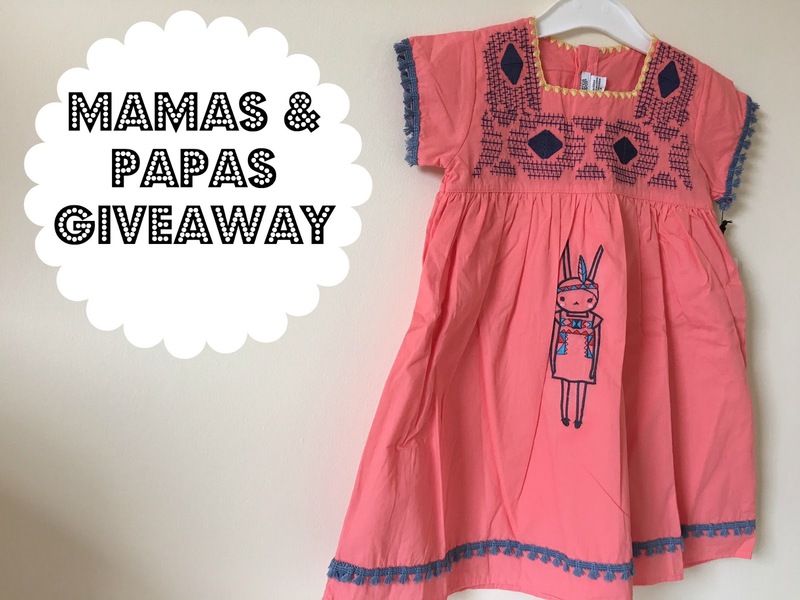 What an amazing giveaway, I love the Fifi Lapin collection Mamas & Papas do and have only ever not purchased from it because there isn't a store nearby.